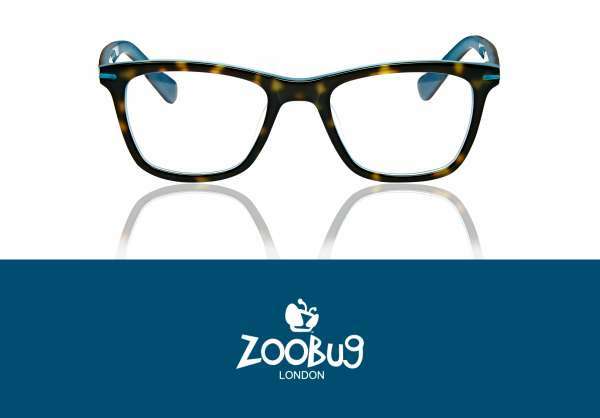 Zoobug, the home of beautiful children’s eyewear, has found a new home at FYidoctors. The award-winning kids’ frames from London, UK, are available in locations across Canada. Ophthalmologist Dr. Julie Diem Le, who had her young patients in mind, designs the funky and perfect-for-spring children’s glasses and sunglasses. The brand focuses on providing a better customized fit to help children see well and look amazing at the same time. The eye surgeon started the brand back in 2006 with the belief that all children should wear properly fitting frames designed to protect their sight and while looking fashionable, too. Hand crafted especially for babies and children up to 12 years old, Zoobug frames and sunglasses are built to meet EU, American, and Australian safety standards. Inspiration struck when shopping for her one-year-old niece turned up a limited selection of eye protection for babies. Armed with her professional background and a desire to increase awareness of the importance of vision care for children, Dr. Diem Le spent two years researching and developing the collection. “Our designs are bold and contemporary, but with a retro twist to suit the style and fashion taste of today’s youth,” Dr. Diem Le told 20/20 magazine. Zoobug frames are available in all shapes and sizes in both glasses and sunglasses. They are built with a special bridge that supports the frame on even the smallest of faces, and have collected designer and travel product awards over the years. What makes the brand ideal for the rough and tumble kid lifestyle is that Zoobug specializes in one-piece Rubber Flex “Active” frames. Four ophthalmic styles offer a new versatile modern rubber material that provides a completely flexible and virtually indestructible option. The frames are free from joints and metal parts and boast an adjustable ultra-flexible hinge, making them resilient and easy to wear. The brand’s uniqueness has not gone unnoticed. In 2008, Zoobug won the Silmo d’Or industry award in the children’s category and in 2012, Zoobug was chosen to produce the official London Olympic sunglasses for kids. The folks at Zoobug know their clients. Kids don’t have the reputation of being the most careful with their frames, so they’ve built in a guarantee that will put parents’ minds at ease. The Zoobug Kids Promise guarantees to repair any breakages. They’ll even send out a one-time replacement for any losses within a year of purchase. All repairs and replacements are completely free, apart from a small handling and delivery fee. Also of note is that the company works with eye charity Orbis by donating their sunglasses and glasses to disadvantaged children in Africa, Asia, and South America. For more info on Zoobug, check out their site or visit an FYidoctors location, where your little one can try on styles they’ll love.